*3 Toyota Central R&D Labs., Inc.
(1) Ono, K., Tomita, N., Fujitani, K. and Himeno, R., “An application of voxel modeling approach to prediction of engine cooling flow”, JSAE Spring Convention Proceedings, No. 984 (1998), pp. 165-168. 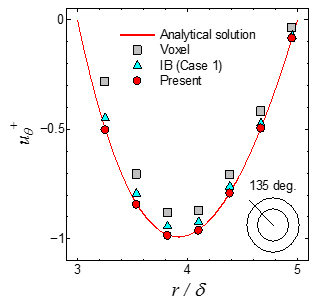 (2) Peskin, C.S., “Flow patterns around heart valves: a numerical method”, Journal of Computational Physics, Vol. 10 (1972), pp. 252-271. 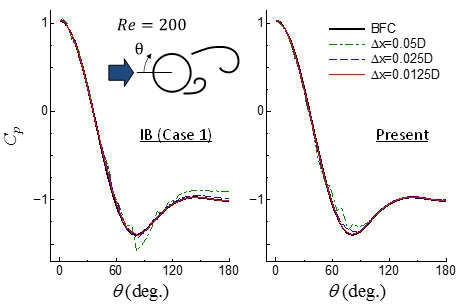 (3) Mohd-Yusof, J., “Combined immersed-boundary/B-spline methods for simulations of flow in complex geometries”, Center for Turbulence Research Annual Briefs, (1997), pp. 317-327, Stanford University. 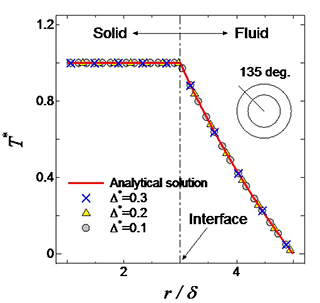 (4) Fadlun, E.A., Verzicco, R., Orlandi, P. and Mohd-Yusof, J., “Combined immersed-boundary finite-difference methods for three-dimensional complex flow simulations”, Journal of Computational Physics, Vol. 161 (2000), pp. 35-60. 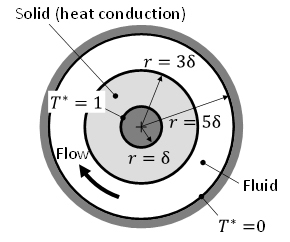 (5) Kajishima, T. and Takiguchi, S., “Interaction between particle clusters and particle-induced turbulence”, International Journal of Heat and Fluid Flow, Vol. 23 (2002), pp. 639-646. (6) 佐藤範和, 梶島岳夫, 竹内伸太郎, 稲垣昌英, 堀之内成明, “直交格子法における物体境界近傍の直接離散化法（速度場と圧力場の整合性を考慮した高精度化）”, 日本機械学会論文集B編, Vol. 79, No. 800 (2013), pp. 605-621. (7) 佐藤範和, 竹内伸太郎, 梶島岳夫, 稲垣昌英, 堀之内成明, “直交格子を用いた対流熱伝達計算における物体境界近傍の直接離散化法”, 日本機械学会論文集B編, Vol. 79, No. 803 (2013), pp. 1219-1231. (8) 梶島岳夫, 竹内伸太郎, “固気液混相流の直接数値シミュレーション”, 日本機械学会論文集B編, Vol. 76, No. 765 (2010), pp.712-719. 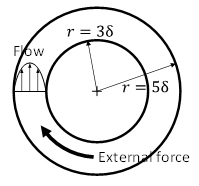 (9) Mittal, R. and Iaccarino, G., “Immersed boundary methods”, Annual Review of Fluid Mechanics, Vol. 37 (2005), pp. 239-261. 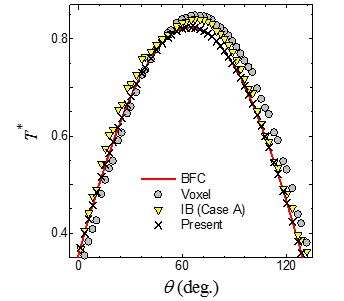 (10) Kim, J., Kim, D. and Choi, H., “An immersed-boundary finite-volume method for simulations of flow in complex geometries”, Journal of Computational Physics, Vol. 171 (2001), pp. 132-150. 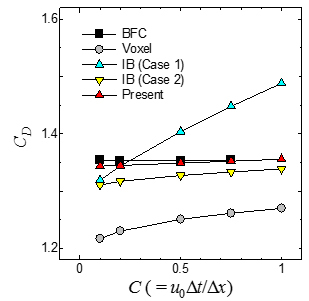 (11) Ikeno, T. and Kajishima, T., “Finite-difference immersed boundary method consistent with wall conditions for incompressible turbulent flow simulations”, Journal of Computational Physics, Vol. 226 (2007), pp. 1485-1508. (12) 佐藤範和, 竹内伸太郎, 梶島岳夫, 稲垣昌英, 堀之内成明, “固体熱伝導をともなう対流伝熱問題のための直交格子法”, 第28回数値流体力学シンポジウム, E09-1 (2014). 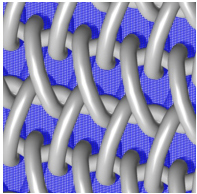 (13) Fukuoka, H., Takeuchi, S. and Kajishima, T., “Interaction between fluid and flexible membrane structures by a new fixed-grid direct forcing method”, 11th International Conference of Computational Methods in Sciences and Engineering, (2015).